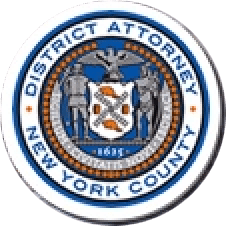 Manhattan District Attorney Cyrus R. Vance, Jr., today announced the sentencing of JASON AHIALEY, 26, to 1-to-3 years in state prison for a scam in which he fraudulently filed federal and state tax returns using his victims’ stolen personal information and Social Security numbers, and directed the funds to accounts linked to debit cards he possessed. On January 16, 2015, AHIALEY pleaded guilty in New York State Supreme Court to one count each of Scheme to Defraud in the First Degree and Identity Theft in the First Degree. According to the defendant’s guilty plea and documents filed in court, between February and July 2013, AHIALEY electronically filed fraudulent tax returns on behalf of more than 40 individuals, including Manhattan residents and fellows who worked at or were employed by the New York University Langone Medical Center. In addition, the defendant stole personal identifying information from the deceased, including minors who had died and never filed a tax return. Using the stolen information, the defendant used his victims’ names, dates of birth, and Social Security numbers to prepare and file digital tax returns using H&R Block’s online tax preparation software. The returns, each of which amounted to thousands of dollars, were then wired to different accounts linked to debit cards obtained by AHIALEY. Following further investigation by the District Attorney’s Office, the defendant was also discovered to have fabricated his own work experience and wages. In total, the defendant’s scam attempted to obtain more than $100,000 in tax refunds from the federal and state government. Assistant District Attorney Beth Potashnick prosecuted the case with assistance from Assistant District Attorney Elizabeth Roper, Deputy Chief of the Cybercrime and Identity Theft Bureau, and under the supervision of Assistant District Attorney Brenda Fischer, Chief of the Cybercrime and Identity Theft Bureau, and Executive Assistant District Attorney David Szuchman, Chief of the Investigation Division. Investigative Analyst Daniel Mueller, Investigator Jaime Mercier-Blanchard, and Deputy Chief Investigator Santiago Batista provided additional assistance with the case. District Attorney Vance thanked New York University Langone Medical Center and H&R Block for their cooperation and assistance with the investigation.